You Know What, McLeish? Drop All Our Stars. We’d Prefer It That Way. Griffiths is out. Through his own choice. But McLeish had said he wouldn’t have been a guaranteed starter anyway. McGregor’s not a guarantee. Forrest scored four at the weekend and the talk in the Scotland camp was about whether they could fit him in. Gordon won’t start ahead of McGregor, now he’s back from his life ban. And today Ian McCall has weighed in with his heavy intellect (aye right) on Kieran Tierney, who “starts regardless” and shouldn’t. The royal, loyal blue brigade really are having a rare old time, aren’t they? They have the national team in their iron grip, and this is their way of saying they do not intend to relinquish control anytime soon. Good for them. For all the good it will do. Of all the prizes they could have gotten their grubby stained hands on, why this one? Let me tell you, I’d prefer it if they dropped all of our players. If they just came right out and said that Celtic stars will play second fiddle to those of other clubs, and meant it, and followed through on it. Do your worst. Give it your best shot without us. That scenario has failure written all over it. 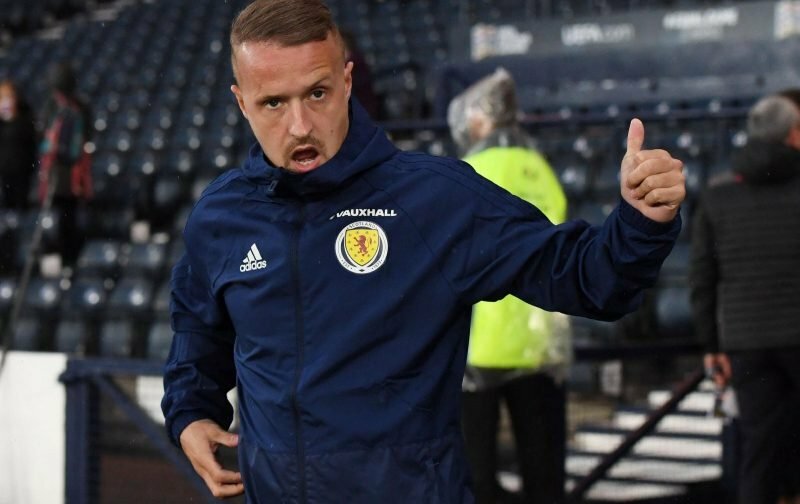 Celtic players almost saved Gordon Strachan’s job after he finally decided that the core group playing for the best squad in the country should be the fulcrum of his team. Not before time. His intransigence on that issue had already cost Scotland points. Forever, it seems to me, there’s a political calculation in picking a Scotland squad that puts appeasing certain constituencies of the game in front of the best actual team. McLeish and his people aren’t bothered with that. They have given over fully to those constituencies and that means not selecting our players, or trying to find excuses not to. Undermining them in public, as the management team at Scotland now do, repeatedly, is supposed to sap our players of confidence and make them doubt themselves. I predict that it will have the opposite effect. Our team will become closer together than ever before, and more determined to succeed. They will lift their game, in an effort to prove everyone wrong. The only people who’ll suffer will be those who go to Scotland games … and McLeish himself. But the SFA will see him alright anyway, just as they have done here. Most Celtic fans would welcome our players being completely excluded from the Scotland team. Many of these guys have been playing, constantly, for the last three years and could use a break from this nonsense. There are too many games, and missing out on pulling on the jersey for the EBT recipient will help more than it hurts.